The security of an area being tightly related to the security of the communications, KEAS provides reliable and innovative communications and identification systems. 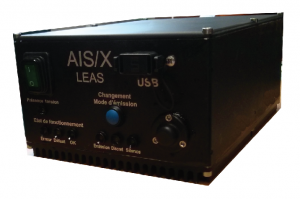 The AIS/X being a Warship AIS (W-AIS), it allows you to send and receive in encrypted mode. Its features are defined and standardized by NATO countries, the AIS/X makes it for example possible to limit the exchange of position only to vessels equipped of W-AIS with the correct key, and to broadcast to all conventional AIS either virtual ships, or the real position of W-AIS ownship, but off-set. Our AIS, the AIS/X (Automatic Identification System eXtended), offers additional features like points of interest, false tracks and decoy management. o Use of a third VHF frequency for the protected network. The AIS/X allows a better understanding of the tactical situation of proximity while promoting discretion. 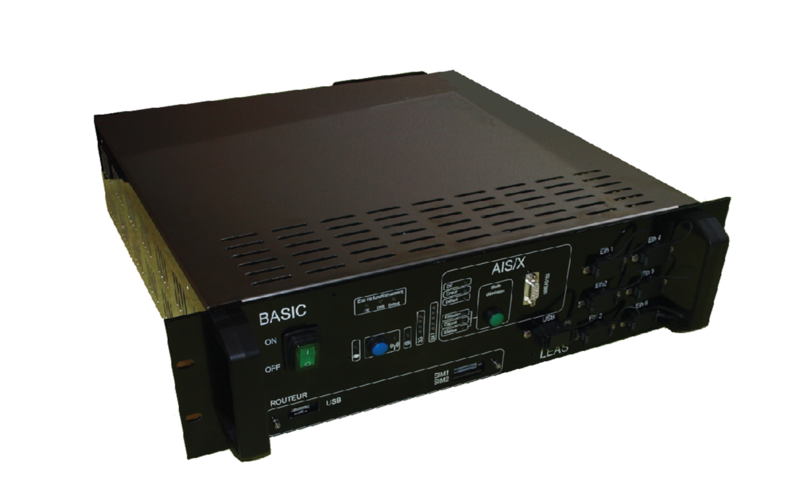 The equipment BASIC: Access Box to Coastal IP Services is a system incorporating all the available IP communications on a boat (concept of IP Box). o Internet access : made nominally by the 3G / 4G network via the modem integrated in the router. o Access to SPATIONAV: the transfer of the local situation is performed by connecting to the PI2B gateway via internet. o Access to a supervision post: the supervision post allows you to configure all the accesses and to retrieve logs. o Access to a NAV PC, that displays the local situation (AIS and possibly radar) and to implement all the features of the AIS/X..
o Access to a radar, to recover the radar tracks.